Day 3 What have you read and loved because of a fellow blogger? Oh, this is a tough one because many of my reads now are because of fellow bloggers! I have to first say that bloggers got me back into the fantasy and science fiction genres after many years of avoiding them. Now quite a bit of my reading is of genre fiction. So, thank you, friends, for giving me Terry Pratchett and Diana Wynne Jones and Neil Gaiman and Connie Willis and Jo Walton! 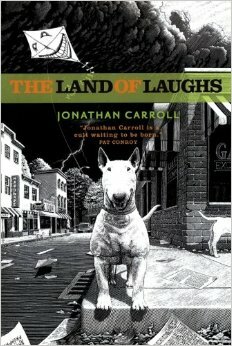 My favorite author that I would probably have not discovered on my own is Jonathan Carroll. 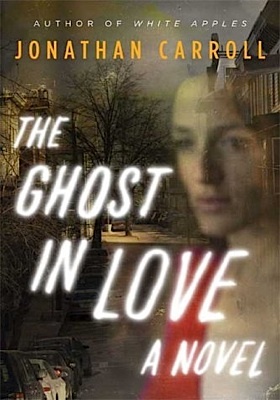 I read The Ghost in Love because of Selena's review of it and then Chris recommended The Land of Laughs because it was one of his favorite books. I loved both of these and was so happy to have read them! Carroll is a very unique author. Is there a book that you read and loved because I recommended it? I still haven't read Jonathan Carroll! I have a couple books by him to try. Must get to them. They're very different and usually span multiple genres so I hope they hit the right note for you! I'm sure there have been many, over the years! You and I have substantially overlapping tastes. Of course now that I try to think of what they would be, I'm blanking. :/ I need to keep better records of who recommended what to me. I need to do that too. These were the ones that came to mind but there have been so many more, including the small moments when someone pushes you toward your next read by an already loved author. I forget a lot of those even though I enjoy the books! Agreed! I might never have gotten into many things - including audiobooks, YA, or fantasy - without bloggers! I definitely wouldn't have tried audiobooks without gentle nudging from other bloggers. I had decided a long time ago that they were only suitable for long road trips. Now, today, I've been listening for hours to Fire by Kristin Cashore as it reaches a crazy ending! Blogging reviews and recommendations are special. Some of the best ones are during times when I needed the perfect book outside of my normal genre. It's hard to find the right book in a genre you don't regularly read. Other bloggers know you and what you might like. Even if every recommendation isn't a perfect match, they're probably way better than just picking something up at random! When you pick up the "right" book outside your comfort zone, it can make all the difference as to whether you will pick up another one. Bloggers help steer us toward those right books! I haven't had a chance to try this author before, but you have me curious! 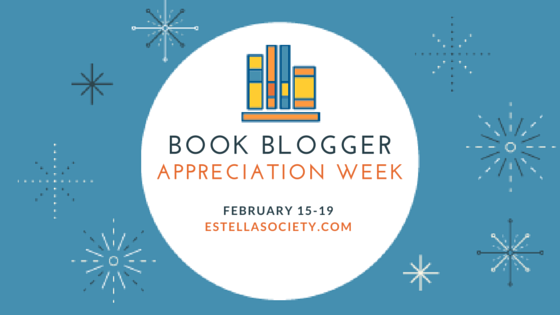 I definitely have book blogging to thank for taking me to new places in my reading--not only that, but also deeper into what I already was reading. I will always be grateful for that. I know I was inspired to read more Wilkie Collins by your enthusiasm (among others). And the latest book I've added to my TBR on your recommendation is Arcadia by Iain Pears. I'm excited for that one!